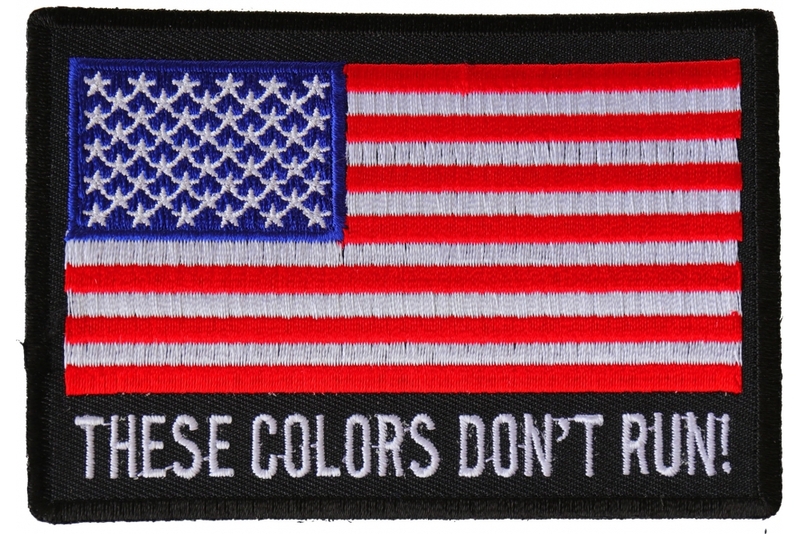 These Colors Dont Run Us Flag Embroidered Patch. 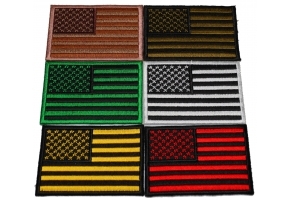 This American flag patch has an American flag embroidered over black fabric and carries out the message, "These colors don't run". 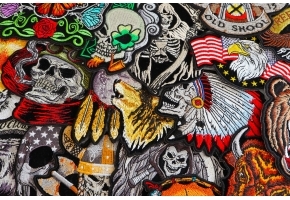 The iron on patch which can also be sewn on thanks to its die cut borders. The patch measures 4x2.75 inches. 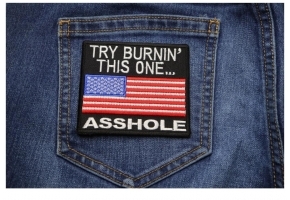 Perhaps my most popular US Flag Patch by far. 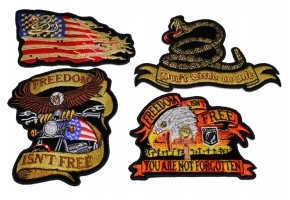 Bikers and Veterans do like the These colors don't run embroidered underneath the US flag. 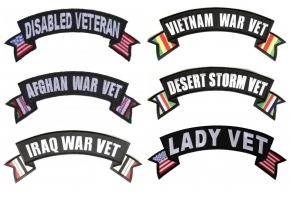 If you want a U.S. flag patch, there are many different options out there. 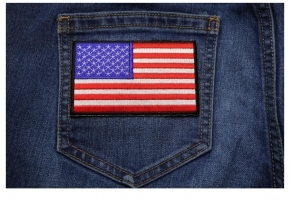 There are American flag patches that feature a standard rectangular flag, but then there are those where the flag colors are applied to a symbol like a peace sign. 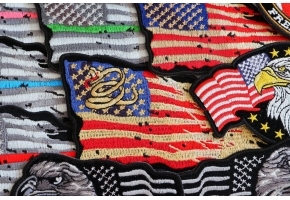 The These Colors Don't Run US Flag Patch takes the standard U.S. flag and puts it on a sold black background. Under it is the phrase "These Colors Don't Run!" a phrase that has become pretty popular in the events following September 11 and the terrorist attacks on the U.S. The saying about colors running comes from the fact that some colors fade or run when washed. The pigments don't stick to the material and can end up running to other materials. 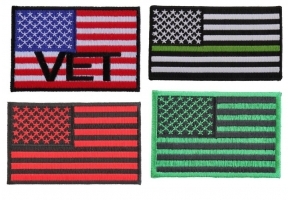 This flag patch, however, twists the phrase to mean that red, white, and blue, the colors of the U.S. flag, don't run or retreat when attacked. The phrase works well when placed under the U.S. flag like in this patch. 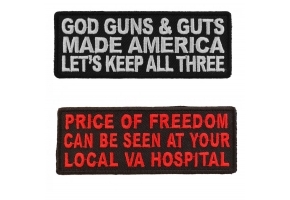 If you're looking for a patriotic patch to add to your jacket or other article of clothing, this is a good one. The flag's bright colors look very nice, and the black die cut borders make it simple to sew it on. 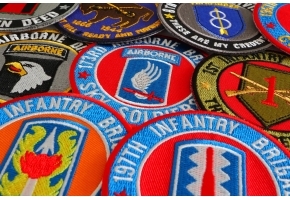 The patch also has a plastic iron-on backing that makes it easy to iron it on to anything other than leather.